There is an exceptional track (and one occasionally salvaged) by Dana Gillespie, a version of Donovan’s 'You Just Gotta Know My Mind', which is manic, mad late-‘60s freakbeat at its best with savage crashing guitars courtesy of Jimmy Page and upfront Dana’s bluesy and bolshie vocals. It ought to be a blueprint, but it’s remained an old mod’s dream about what pop can be, and one that Fay Hallam has come closest to realising. In 1985 pop journalist Dave McCullough wrote that Fay Hallam was god. This was in the context of a review of her group, Makin’ Time’s debut LP, Rhythm and Soul, which McCullough claimed was the anti-REM, an antidote to a new rock orthodoxy. Makin’ Time took over the role of the Small Hours as underground favourites on the mod scene for those most in touch with the source sounds. Makin’ Time just happened to create fantastic pop songs of their own, ones that were at their best when gifted organist Fay Hallam stepped up to the microphone. As well as being a talented tunesmith, Fay had the best voice of her generation, though it was a voice that really was not heard enough. Fay’s recordings with Makin’ Time and beyond provide a one-off connection to another of the rarified visionaries much beloved by the mods, Julie Driscoll (or Julie Tippetts, if you like). 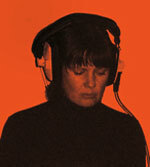 Julie (or Jools, as we like) has a distinctively soulful voice, most easily recognisable from her time with Brian Auger’s Trinity in the late-‘60s, where they would develop a progressive rhythm and soul sound, best known for the hit 'Wheel’s On Fire', from the depths of Dylan’s basement, but best heard on the adventurous Streetnoise set and in particular Jools’ own wonderfully peculiar London song, 'Vauxhall to Lambeth Bridge', which breaks my heart each time I hear it. 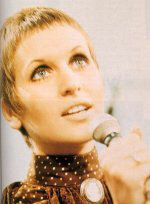 Nik Cohn writing about Julie Driscoll called her just about the sexiest thing in pop. Nevertheless Julie’s voice would remain one not heard enough. And that’s despite an all-time classic debut solo set, 1969, recorded with a stellar cast of English progressives, like the Blossom Toes’ Jim Cregan (who would later become Linda Lewis’ partner) and jazz expeditionary Keith Tippett (who would become Jools’ partner). After Makin’ Time Fay seemed to be marking time. If in the mid-‘80s mod milieu Fay was queen of the scene, then the Prisoners’ Graham Day was the king bee. For several years Kent’s Prisoners did the rounds serving up a savage sound, drawing heavily on the UK r’n’b primitives, like the Pretty Things and Artwoods. Like Makin’ Time, the Prisoners would be burned by record company politics and farragoes, and Day disappeared back into Kent’s Medway delta, nursing his wounds, re-emerging with the Prime Movers and an astonishing debut set, brimming with brimstone and disgust at the world. Fay similarly disappeared into the Medway wilderness, occasionally lending support to the Prime Movers, and eventually emerging leading her own Phaze (Fay’s if you must), initially for a one-off version of Richie Havens’ 'Indian Rope Man' for the Acid Jazz label, and then several years later for a couple of full length sets. Who Do We Think We Are, the first of these, was released by the eccentric Vinyl Japan label, and remains something of a lost classic. If the 'Indian Rope Man' cover made explicit the connection to Julie Driscoll and Brian Auger, then the soulful garage growl of Phaze hinted too at the bluesy and bolshie late-‘60s recordings Sharon Tandy made with the Fleur De Lys, which have been dearly loved by successive mod generations. Julie Driscoll would re-emerge as Julie Tippetts, with the ridiculously adventurous Sunset Glow set, by which time she was thoroughly immersed in the world of experimental jazz, and she subsequently could be heard making odd contributions to all sorts of projects. One that springs to mind is Carla Bley’s Tropic Appetites, and things don’t get much more out there. Julie’s singing would increasingly become improvised and wordless, exploring similar areas to kindred spirits like Norma Winstone, whose contributions to records like The Heart Is a Lotus by the Michael Garrick Sextet are an absolute joy. Though it has to be said that if you’re looking for the absolute perfection in improvised vocal virtuosity then things don’t get any better than Patrice Holloway’s performance on 'Walkin’' for electronic pioneers Beaver and Krause’s Gandharva set, but that’s a different story. Instead of making the most of Phaze’s alignment with long lost library music sets and archly funky soundtracks, I would write earnestly urging Fay to forsake the Medway garages and let her imagination take flight, like a Laura Nyro. In time, Fay did take flight from the Medway’s tortured towns, and in 2006 re-emerged with the Fay Hallam Trinity and a full length set, Realm, and accompanying EP, Live To Shine. The sound of this Trinty is explicitly and loyally rooted in the Streetnoise of Julie Driscoll and Brian Auger, but the songs are strong enough to stand. Fay’s way with a melody works best on the ballads, like 'White Horses' and 'Tiny Footsteps'. The invigorating 'Hills of the North' seems to somehow suggest a link to Ruth Copeland’s 'Child of the North' and the recordings she made for Invictus in such strange circumstances far removed from her Northumberland roots as part of George Clinton’s Parliament/Funkadelic circle. It is a lovely idea to imagine Fay Hallam creating the swirling Hammond sound on a version of Ruth Copeland’s 'Silent Boatman', and it’s this sort of madness Fay should be a part of. Part of Fay’s charm perhaps is an apparent disdain for the music business and the well travelled paths its participants plod along. Maybe only those who know they can soar choose to opt out in the way she seems to. Indisputably the Fay Hallam Trinity’s Realm is one of those occasional golden nuggets cast our way seemingly so nonchalantly by the world’s frustratingly disinterested visionaries, who are blessed but bereft of ambition it seems. You can all produce your own names, choose your own medium, think of actresses who have squandered gifts in awful films, writers who have been too busy doing a day job to produce that masterpiece, and yes frighteningly talented singers who disappear for years at a time, driving us mad by their absence.